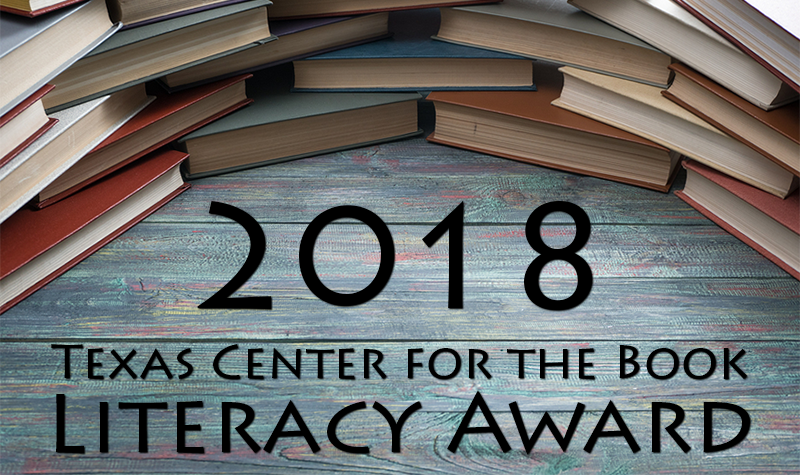 The Texas Center for the Book is seeking qualified non-profit organizations that have made outstanding contributions to increasing literacy in Texas for the 2018 Texas Center for the Book Literacy Award. The winning organization will receive a $1,000 cash award to assist in its future work promoting reading and combating illiteracy. Additionally, an honorable mention recipient will receive $500. The award provides public recognition to 501(c)(3) organizations committed to addressing the continuing need for literacy services and that increase public awareness of the importance of literacy. In order to be eligible, the primary purpose of the nominated nonprofit organization must be to support and encourage literacy. Organizations may self-nominate for the award or nominate partner nonprofit organizations. The nomination period for the 2018 Literacy Award is from June 1, 2018, through September 1, 2018. The 2018 Literacy Award winner will be announced during the Third Annual Texas Author Summit; kicking off the Texas Book Festival on Oct. 25, 2018. While this award promotes partnerships with libraries, please note that library friends organizations, public libraries, school and academic libraries, and other library entities are not eligible for nomination. These entities are encouraged to nominate literacy organizations within their local and/or regional communities. For more information on other Texas Center for the Book initiatives, visit www.tsl.texas.gov/centerforthebook. All nomination forms become the property of the Texas State Library and Archives Commission and may be used in whole or in part in informational or educational materials. The winning organization must provide documentation proving 501(c)(3) status. This award is made possible by the generosity of David M. Rubenstein and the Library of Congress.